“It’s as easy as riding a bike,” she said. 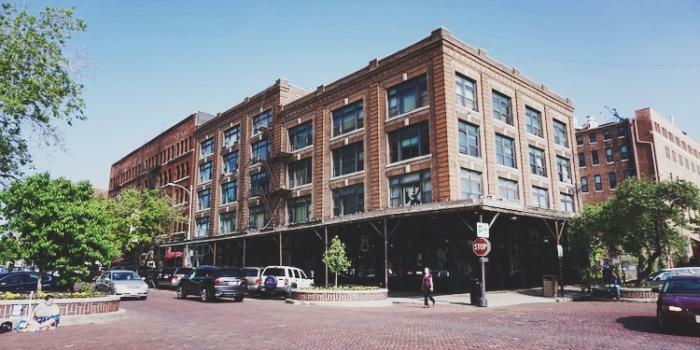 We had spent the last twenty minutes strolling from the streets of the Old Market in Omaha, Nebraska to the Bob Kerrey Pedestrian Bridge. The plan was to walk across the bridge so that we could stand in two states at once. 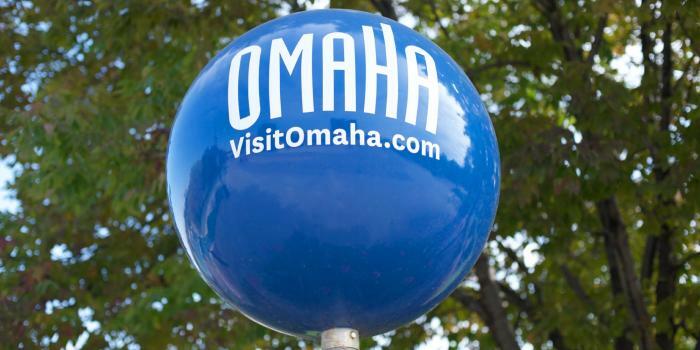 6 Reasons To Visit (or move to) Omaha, Nebraska! Hello from Marissa, Two Kids’ East Coast Editor! 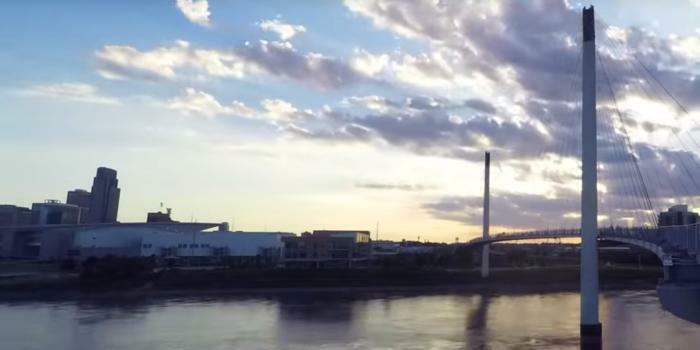 Did you see the announcement that I am moving to Omaha, Nebraska!?! If not, now you know! In about a month I will be digging up my roots in Newport, Rhode Island and relocating to the grand city of Omaha, Nebraska. Now you can call me the Midwest Editor! I hopped over to Omaha last weekend for a hot minute to visit some friends before they move to St. Louis to be closer to me start their post-grad school lives. It was a quick trip, but a fun one. Highlights included two home-cooked brunches, a late night Revenge catch-up and searching for Warren Buffett&apos;s house after indulging in eCreamery ice cream (yes, we found it). When you walk across a state line with camera in hand and the line is clearly marked in paint, aren’t you required to stop and take a photo with a foot in each state? Okay, maybe not required, but certainly hard to resist. 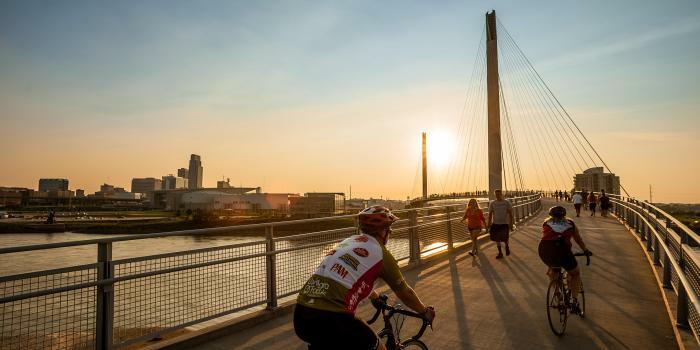 Thus, the photo below, in which we are half in Iowa and half in Nebraska on the Bob Kerrey Pedestrian Bridge, referred to more commonly as the Footbridge.